I retired from Iowa State University in 2009, after a 30-year career as a journalism professor at four universities. My immediate plan was to spend my extra time swimming, biking, and running with the goal of completing an ironman-distance triathlon. Inspired by several triathletes' blogs, I decided to have a go at blogging about my training experiences. It turned out that I had only so much to say about being a triathlete. But the often-solitary long swims, rides, and runs were conducive to reflecting on my life and thinking about assorted other subjects. So The Smith Report, as I creatively called it, evolved into a blog about whatever I happened to be thinking about while I trained. With no lectures, research, or university politics to occupy my thinking, I was surprised about what popped into my head some days. Perhaps the rhythmic nature of swimming, biking, and running opens the mind to thoughts long buried. I sometimes pondered events and people from my career as a professor, some from decades ago. Much thought was given to my family life over the years. News events, especially from the political world, often occupied my thinking as a scholar of political communication. But most of all, I assessed my own up and down life. 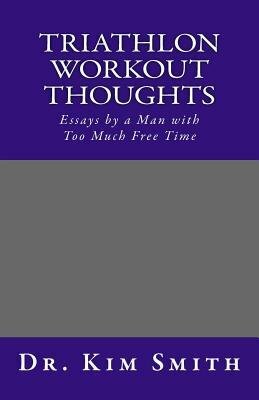 The essays in this book, some serious, some satirical, about anything and everything, are an outcome of these long training sessions.